Both parties in Washington are united against Russia after Trump administration’s failure to commit to election security measures. It has become now obvious to national security experts in the United States that the Kremlin has no intention of scaling back its efforts to interfere with the US’ democratic process and that the Trump White House has not been invested in protecting the US from Russian meddling in the 2018 midterm elections. As the US heads to the elections for the Senate and House of Representatives this Fall, bipartisan zeal has been on display to ensure that Russia is kept in check. 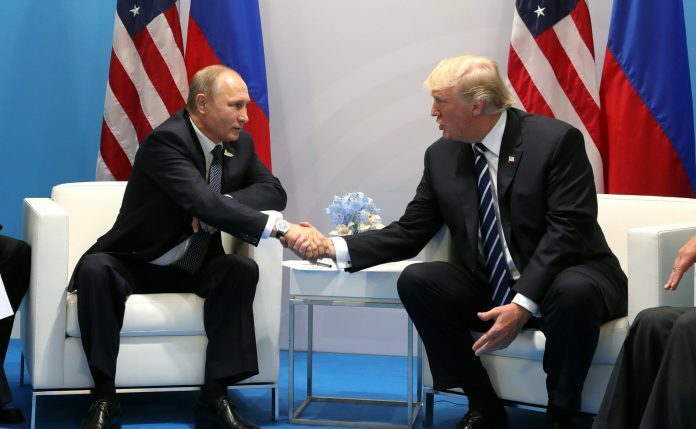 This comes soon after the embarrassing summit between President Donald Trump and Vladimir Putin, during which the former appeared to take the word of Russia over his own intelligence community regarding the well-documented interference in the 2016 presidential election. Combined with Special Counsel Robert Mueller’s probe into Russian activities, Trump’s latitude has decreased significantly. This is why two recent efforts—the bipartisan sanctions bill on Russia introduced by US Senators Bob Menendez, Lindsey Graham, Cory Gardner, Ben Cardin, John McCain, and Jeanne Shaheen; and the new US sanctions over the chemical weapons attack in Britain—deserve special attention as America heads into the election season this Fall. The US Congress overwhelmingly passed countermeasures against Russia last year in response to its multipronged attacks. President Donald Trump signed the legislation grudgingly and yet, disappointingly, the administration has done little to implement it. To add pressure, the US Congress introduced the Defending American Security from Kremlin Aggression Act of 2018 earlier this month. It would increase economic, political, and diplomatic pressure on Russia as a push back on its continued interference in US elections, malign influence in Syria, and aggression in Crimea, among other activities. In particular, the bill includes restrictions on new Russian energy projects, sovereign debt transactions, uranium imports, and additional sanctions on Russian oligarchs and political figures. It also expresses strong support for NATO and introduces the requirement of a two-thirds Senate majority for any US effort to leave the alliance as a firewall against Trump’s demonstrated hostility towards Euro-Atlantic institutions. On the executive side, the sanctions announced last week are essentially fulfilling state department obligations under the 1991 Chemical and Biological Warfare Weapons Control and Warfare Elimination Act—automatically set in motion when the US agreed with the British government’s determination that Russia was behind the attack against Sergei and Yulia Skripal. In a two-step process, the first tranche of sanctions impacts defence and national security-related products, adding to a list of items sanctioned during the Obama administration. A second tranche, which could include a significant reduction in exports to Russia, a curtailing of Russian airline flights to and from the US, and a scaling back of diplomatic ties, would go into effect in less than 90 days unless Russia allows international inspectors for on-site inspections and reassures the US that it will no longer use chemical weapons. First of all, it is a welcome development to see bipartisan solidarity in the wake of the administration’s failure to commit to midterm election security measures for most of 2017 and 2018. Senator Graham echoed the sentiments of many in his chamber of Congress when he acknowledged that “the current sanctions regime has failed to deter Russia from meddling in the upcoming 2018 midterm elections,” and that he planned a “sanctions bill from hell” to punish Russia. While it is still unclear what the bill’s prospects are for passage this Fall, congressional aggressiveness seems to be prodding the White House to get out in front on the Russia file. The administration is reportedly drafting an executive order that would authorise President Trump to sanction foreigners who interfere in US elections. And, among other measures, the American military is taking steps to maintain the integrity of the November elections by ramping up efforts to protect troops from information campaigns. Regarding the newly announced sanctions, there is even more potential for a direct showdown with Russia. Given the unlikelihood that Russia will meet the requirement of international inspectors, the Trump administration will face an important decision in 90 days, which will be on or around election day. The administration’s willingness to implement the sanctions has long been in doubt. From the very beginning of the Trump administration, it sought to remove sanctions on Russia. When Congress first took up the legislation, the administration said new sanctions were unnecessary and lobbied against the bill. When its passage looked inevitable, the administration pushed to water it down. And when Congress passed the sanctions nearly unanimously, the president grudgingly signed the bill into law, letting the world know he thought it was ‘seriously flawed.’ Then, in October, the administration missed an initial implementation deadline. True enough. There is a new hope, however, that the present pre-election moment featuring national concern over election vulnerability offers a moment for action. Whether through congressional legislation too popular for Trump to scale back through executive manoeuvres or the White House attempting to reshape the “who’s tough on Russia” narrative and take back the Russia reigns from Congress, this Fall could wind up producing tangible results—whether Trump really wants it or not. The author was former Nat’l Intelligence Officer for Europe & Deputy Assistant Secy. of State, USA.